X Gallery opens its doors to a collection of key moments captured by Washington, D.C. photojournalist Fred Watkins over a period of three decades. The images document important moments and interactions of high-profile African Americans domestically and internationally in addition to dignitaries representing the African Diaspora. 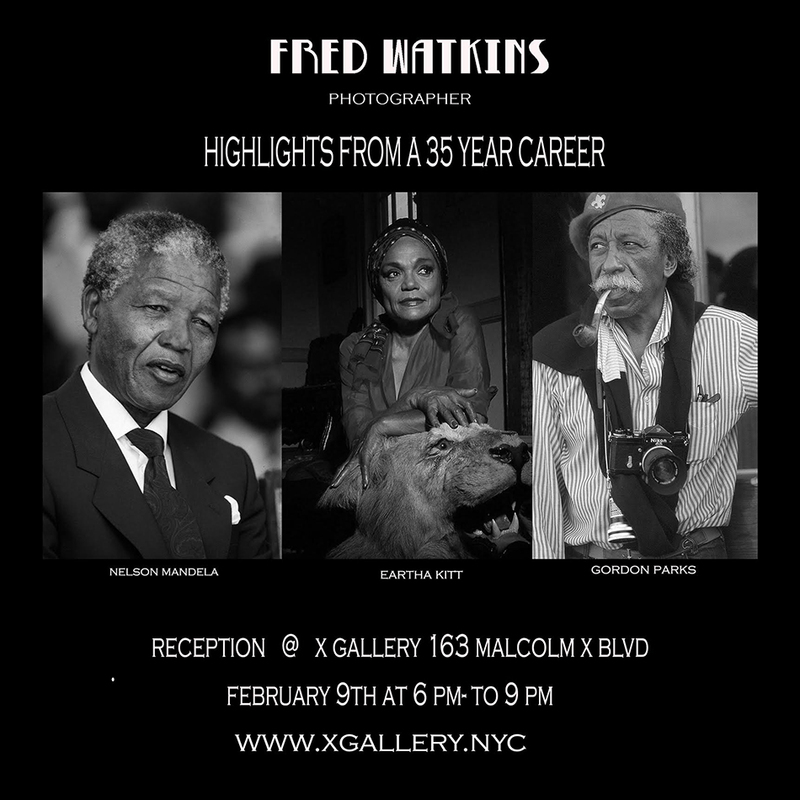 Fred Watkins: 3 Decades of Key Moments Captured will be on view at X Gallery, 163 Malcolm X Boulevard in Harlem from February 1 to March 28, 2019, with Reception on February 9th from 6-9pm. Related programming includes poetry reading introduced by Myasia on February 9 and March 1. Other participating photographers include June DeLairre Truesdale, Juanita M. Prince Cole, Tyrone Rashered, John Braithwaite and Lisa DuBois.